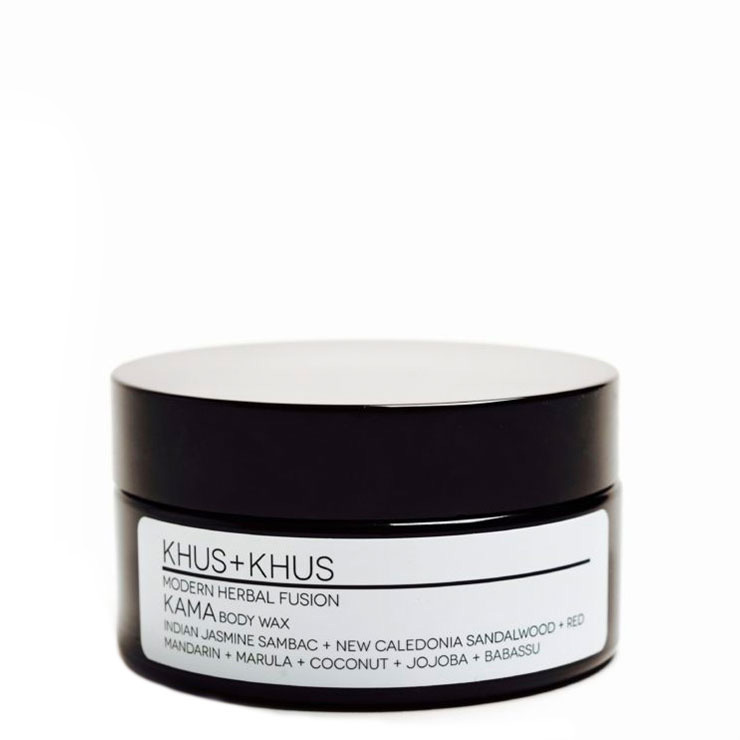 Skin that feels soft and revitalized with an exquisite scent is what you get from Kama Body Wax by KHUS+KHUS. 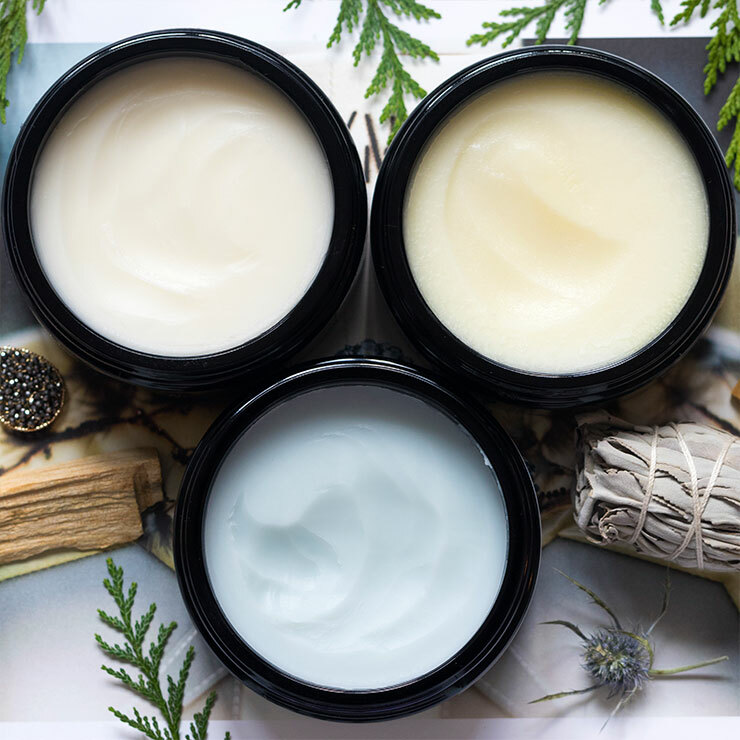 Marula, Babassu, and Coconut Oils combine to offer a feeling of moisture-locking softness and hydration, perfect for all skin types, including dry, oily, and sensitive. 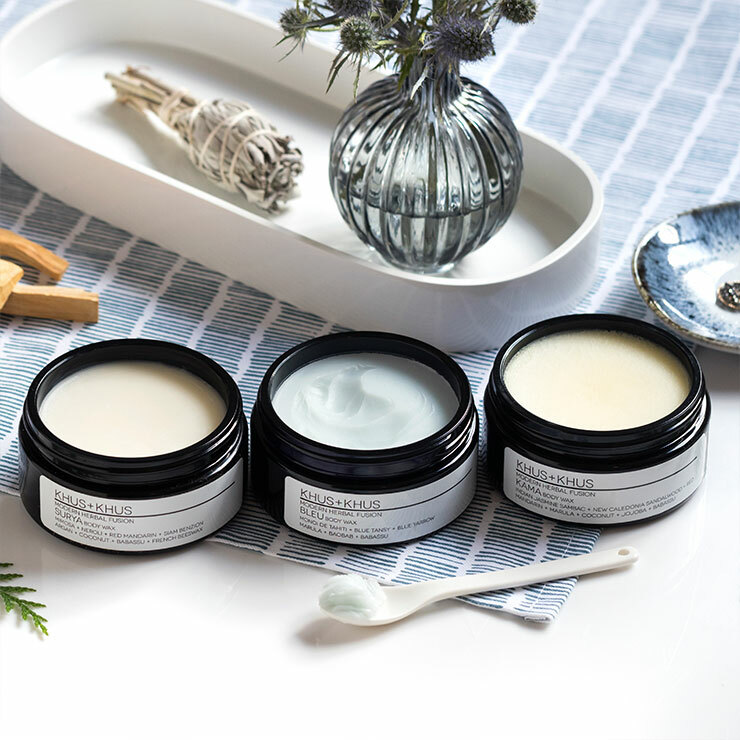 Exotic Australian Sandalwood, heady Jasmine Sambac, and uplifing Red Mandarin are used to lend a soothing feel to dry, irritated skin and while instilling a sense of calm and quiet to the mind. Enjoy KHUS KHUS Body was as a part of a daily Abhyanga, self-massage ritual after shower or bathing. Massage onto skin in long strokes, working toward the heart for a stimulating feel. 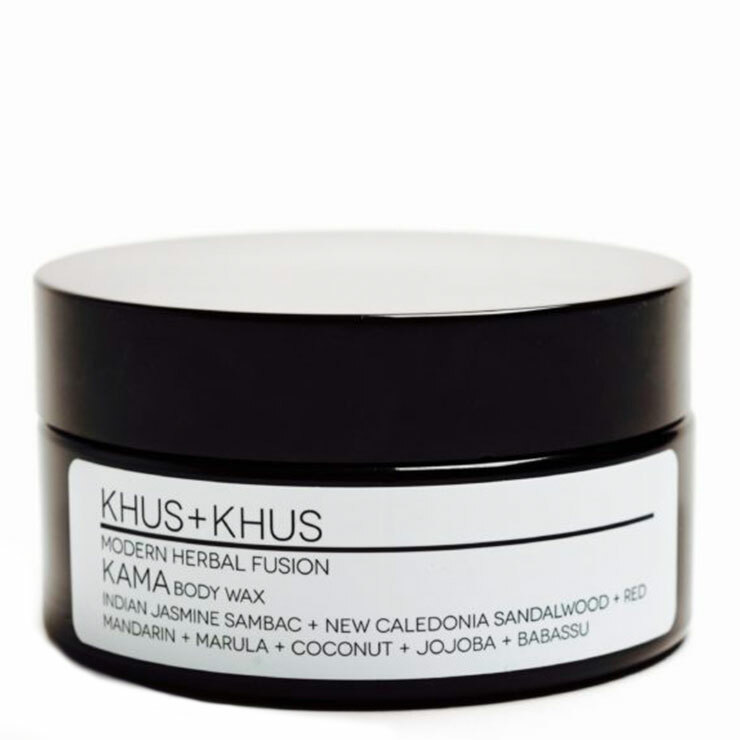 This botanical body moisturizer may be reapplied throughout the day for a sensual scent.